Well UK or UNC were obviously going to miss. Duke just ran into one of the toughest tournament coaches ever. I can't think of another coach that does more with similar talent other than maybe Jay Wright. At this point, I want to see an Auburn and TTU matchup. I’m all in on Auburn. Redemption for UVA's inexplicable loss to UMBC last season would be a good story, and they'd join the hoops NC club. New champions are always good for the sport imo. Our disagreement in the other thread aside...what do you think are their chances with Okeke out? Their chances are slim, but I want them to win for the SEC and for Okeke. Well welcome to the other side. Meanwhile, the joy continues in Eastern Kentucky. so if a one point is getting the H-E-Double Hockey Sticks beaten out of them, what do we consider what happened to Kentucky? I also read (on here, so it's meaningless really) that Duke got curb stomped. Lol. Haters gonna hate hate hate. also, for what's it worth, I find the bashing of Calipari on this board comical. Acting like he's underachieving with 4 Final Fours and a natty is just asinine. No, they didn't get the hell kicked out of them, but it's just funny stuff. It's always fun to poke at the other blue bloods. Everyone likes to take shots at the aristocrats. Imagine what all the rich people at Duke can do with their extra money by living rent free in Kentucky’s head all these years. Also, Matt Jones founder of KSR is a complete hack. I typically do not allow myself to be bothered by people’s opinions in the media, but he’s definitely now on the list for his complete lack of objectivity and complete unabashed hatred for Tennessee and Duke. It’s a short list . He’s had a meteoric rise. Is Matt Jones a hack because he hates Tennessee and Duke? I don't understand your logic. You do realize that he has his law degree from Duke, right? If a Kentucky fan has unabashed hatred for Tennessee in basketball, take it as a compliment. In sports, people (well, at least me) only have intense dislike for teams/programs that they see themselves in the same "class" as or see themselves as worthy adversaries to. For example, I don't have intense hatred for Vandy and Kentucky in football despite them being "rivals" of ours. Yes, I know Vandy has beaten us 3 years in a row but that is a direct reflection of the sh****ness of Tennessee's program, not evidence that Vandy's football program is in any comparable to Tennessee's in terms of tradition, fanbase, etc. Vanderbilt is not even trying to compete at the same level as a school like Tennessee, which makes our ineptness against them over the last few years even more embarrassing. 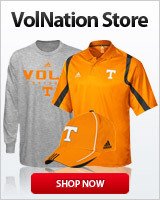 Another loss to Vandy makes me angry at our own ineptness, not them. Kentucky has infinitely more historical success, fan interest, etc. in basketball than Tennessee does, but if the head of KSR hates Tennessee, take that as a compliment. It means he finds us worthy of dedicating energy to hating and sees Tennessee as a threat/worthy adversary. Most of the Kentucky fans I know don't have what I'd call an intense dislike of Tennessee, 1) because they know we dedicate resources more to football, not basketball (in other words, they know they should beat us in basketball) and 2) they aren't a football school, so they don't get frustrated at losses to rivals in football as they do basketball. Also, if he hates Duke like Tennessee, that's just hilarious. The guy didn't even attend UK and has a law degree from Duke as @McCat said. KSR directs most of their hate toward the football program. Jones also grew up on the KY/Tennessee state line, where the hate is real. Not like those fart-sniffers in the middle of the state who felt like Louisville was our biggest rival in football. Yeah. I hate losing to Tennessee at anything, but the football gets to me more. I'm the exception, I guess. I respect Jones ability to have built KSR. I also understand what KSR stands for. I did not know he had a law degree from Duke. He irks me because every time I’ve either seen any of his tweets or when he guest hosts for a nationally syndicated sports talk show he’s gone out of his way to bash UT without any logic or objectivity . It boarders on absurd. He is the co-founder of KSR, but at least try to shade your disdain just a little when doing national shows or tweeting petty things about referees . He’s obviously a smart guy who doesn’t really seem to look at things objectively. Even Seth Greenberg might think he’s too subjective. I’m sure anyone could dig up some tweets that would say i was wrong and he gave a compliment a few times. Just my overall impression .